Salt-based vs Non-Salt Water Softener – Which Is Better? For long, salt water softeners were the norm. 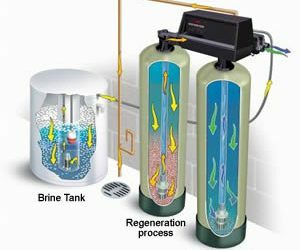 These salt water softener systems operate based on a process called ion exchange, which ensures the replacement of hardness causing minerals (i.e. calcium and magnesium) with sodium ions. Softener salt is an essential part of this process, and it’s used in the regeneration phase of a water softening process. Salt-free water softeners or non-salt water softeners work based on a different principle – these either inhibit the formation of lime-scale or interfere with the crystal structure of hardness causing minerals preventing them from sticking to surfaces. In this article, we will analyse the differences between the two types of water softeners, the pros and cons of each, and we will answer the question of which is better in softening your water. 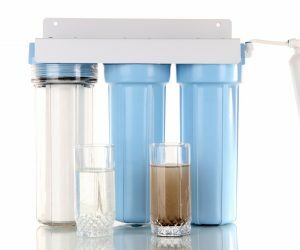 Water Filter Replacement Guide – Know your filters! Water filter replacement is part of any water filter system’s maintenance program. Except for water filters that are replaced in full after reaching the end of their service life, most filter systems have the same construction: a filter housing that contains a replaceable filter cartridge. No matter how complex and advanced a water filter system is, the filter cartridge it contains is the single most important component of any filter. The filter media within the cartridge is responsible for removing or reducing the contaminants in your water source. When filter cartridges become saturated with contaminants, they lose their filtration efficiency and need to be replaced. Each filter cartridge is designed to last for a certain period, however, water sources don’t all contain the same contaminants in the same concentration, so your filter may need replacement sooner than expected. Our water filter replacement guide will provide answers to the most common questions about filter replacement, it will help you understand how different factors can influence the service life of your filters, and why is it important to never miss a water filter replacement date. Water filter cartridges are the single most important element in any water filter system. 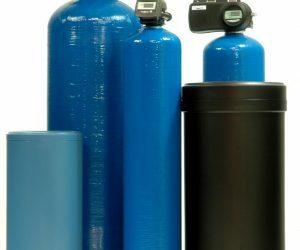 Essentially, these devices are the ones removing dangerous contaminants from your water source, so it’s important to choose the right water filter cartridges for your system and ensure their timely replacement and maintenance. 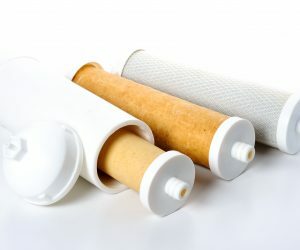 Depending on the brand, model, and contaminants they’re designed to target, water filter cartridges can contain different types of filter media or a combination of several types of filter media in an effort to remove as many types of contaminants as possible. In this article, we’ll discuss some of the best water filter cartridges you’ll find in a typical multi-stage water filter system, and what each filter is designed to do in such a set-up. Some businesses – cafes, restaurants, catering services, etc. 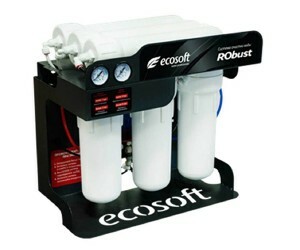 – can benefit from the robustness of a commercial water filter. When it comes to filtered water output, commercial water filters simply outperform residential ones, ensuring that the daily filtered water needs of your business are addressed accordingly. 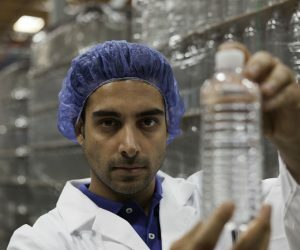 Variations in quality and performance exist even in the realm of commercial water filtration, since use cases and filtered water needs vary from business to business. For example, a restaurant’s filtered water needs are very different from that of a dental practice or other medical facility. The water filtration industry recognizes these nuances and creates solutions to meet a wide-ranging spectrum of needs. Best Water Filtration System – Which system will get you the best water? The best water filtration system is the one that will reduce or remove all prevalent contaminants from your tap water. This is the short answer to the question of which water filtration system will get you the best water. The long answer is a little bit more nuanced, but indeed, the water filtration system that best addresses your tap water problems is the best water filtration system for you. Which are the most efficient filtration systems on the market, and what are the strengths and weaknesses of each? This article attempts to shed light on these questions and more, so you can buy the water filter that is best at filtering out unwanted ingredients from your tap water. Best Water Softeners – Helping you get rid of lime-scale, permanently! If you’re one of many homeowners whose life is made difficult by lime-scale build-ups, getting to the root of the problem is now easier than ever. The best water softeners are economical, easy to maintain and don’t take up much space in your home. But how do you know which water softener works best for you and what factors should you consider when choosing a water softener for your home? While it may look inoffensive at first, if left unchecked, lime-scale can produce extensive damage to pretty much every type of appliance that comes into contact with hard water. This leads to energy inefficiencies, damages and breakdowns that can be extremely costly. But hard water is not only hard on your appliances, but your hair, skin and clothes are also at the mercy of it. The physical, chemical and biological characteristics of water determine its quality. The question of how to improve water quality has become an important issue worldwide amidst depleting clean drinking water resources and environmental changes. Water quality is measured by testing water with respect to biological, chemical and physical characteristics and comparing it against a set of standards that are created depending on the intended use or need of water. The primary focus of municipal water providers is to ensure that your tap water is, above all, safe to drink. Sometimes, aspects concerning taste and odour may take a hit in favour of safety (e.g. chlorination). Before we go into the different ways you can improve water quality both from a safety and palatability aspect, we’re going to discuss how water quality is measured and whether your tap water is safe to drink. Water Softener Systems – Types, Benefits & Choosing the Best! 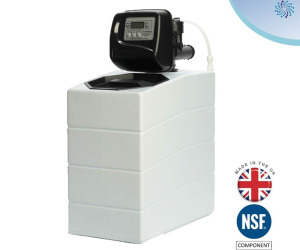 Water hardness is a ubiquitous problem in the UK and many homeowners have a water softener system installed to prevent lime-scale build-ups in home appliances and on bathroom sanitary ware. Hard water is not recognisable to the naked eye; however, its signs are simply hard to ignore – water high in minerals (e.g. calcium and magnesium) will leave its mark on just about anything it comes into contact with, leaving a chalky white (sometimes yellowish) deposit on bathroom and kitchen faucets, showerheads, and other surfaces. Lime-scale build-ups will clog almost any kitchen or bathroom appliance, be it a water heater or coffeemaker, leading to costly repair works or replacements. Lime-scale can leave spots on glass, the surface of your taps, porcelain, etc. Fridge Filters – Do you need one? Fridge filters are cartridges specially created to filter water that is dispensed by your refrigerator. If your fridge is equipped with a water dispenser or ice dispenser system, chances are that it already comes equipped with a fridge filter. While newer fridge models are usually equipped with a snap-in type of fridge filter that snaps into the built-in filter system, older fridges have inline fridge filters, which are attached to the water supply line that feeds the water dispensing system of your fridge. These fridge water filters not only improve the taste and odour of cool water dispensed by your fridge, but also tackle harmful contaminants including heavy metals, particulates, and bacteria. In this article, we’re going to analyse the benefits of fridge filters, the difference between branded and non-branded fridge filters and some tips on how to maintain your fridge water filter. 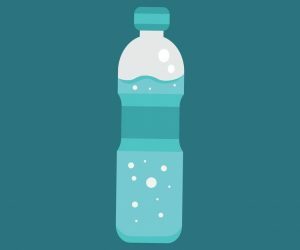 Water Filter Bottles – Which one do you need? Regular water filters are perfect for filtering tap water in your home, but what if you need filtered water on the go? Water filter bottles are portable water filtration devices designed to filter tap water or natural water sources wherever you go. Regular reusable bottles can only carry so much filtered water, and before you know it, you’re shopping for bottled water again. Water filter bottles allow you to refill your bottle time and time again, and get filtered water each time you take a sip of water. Should you run out of filtered water, just fill your bottle either with tap water or other water source, and enjoy contaminant-free filtered water. To get familiarised with water filter bottles, let’s see how these tiny filtration systems work, what types of water filter bottles you’re likely to find on the market, what are the pros and cons of these, and which type of water filter bottle you need in your day-to-day life. Water purifiers are used to remove undesirable chemicals, sediments, biological contaminants and other water ingredients that may pose a danger to health or that may significantly alter the taste of water. With water purifiers, raw water or untreated water is made suitable for a specific purpose, e.g. for drinking or industrial use. Therefore, water purifiers are used both for residential or commercial purposes, and even to purify water in the great outdoors or in emergency situations. There are various ways to purify water – through reverse osmosis, distillation, deionization, or passing water through different types of filter media. For the purposes of this article, we’re going to focus on the latter method of purifying water. In this article about water purifiers, we’re going to cover the best water purifiers used by emergency relief organisations and the best water purifiers for home use.